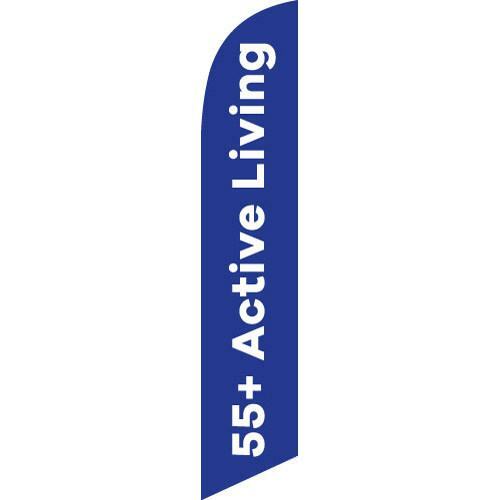 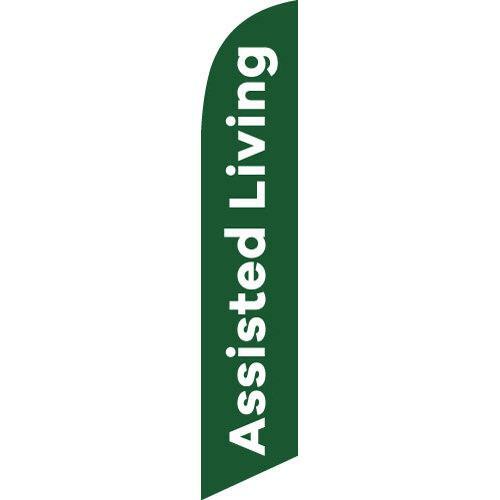 55+ active and assisted senior living feather flags. 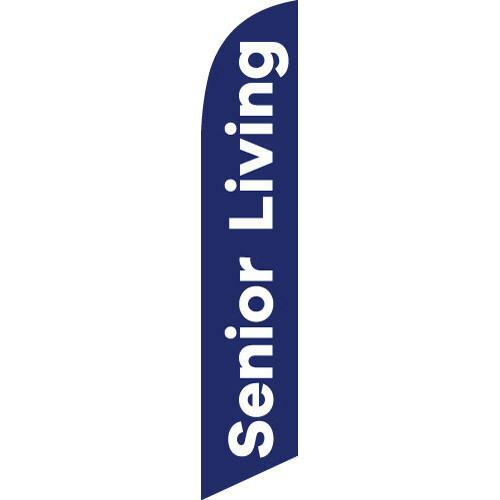 Variety of low-cost designs for senior communities. 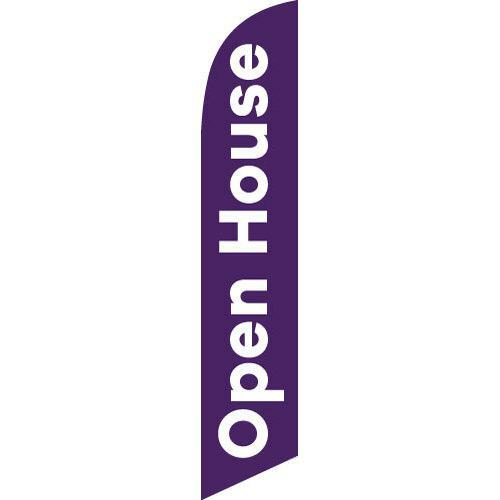 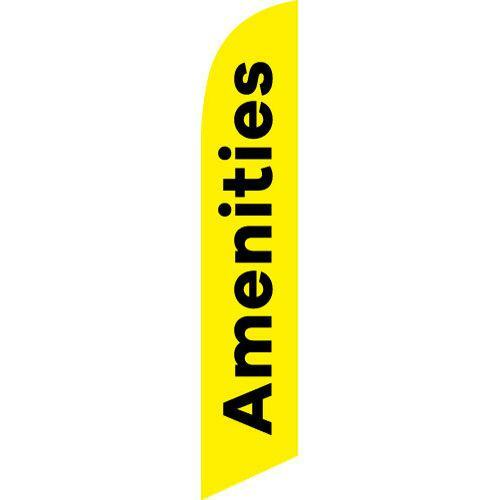 Our stock flags are great for all budgets. Check our coupons list – we do sometimes offer free shipping or percentage discounts on purchases of $100 and more.